Acid rinse for carpets is a great way to bring new life to dirty, worn fabric. A good acid rinse is designed specifically for heavily stained fabric, or when there is a specific problem area that needs extra help. 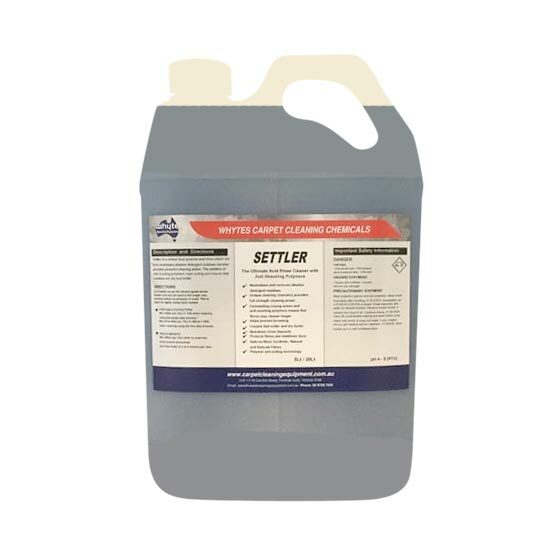 Whyte uses a unique dual purpose acid rinse for carpet cleaning, providing pH neutralization and a powerful clean. This is perfect for tackling deeply soiled wool carpets where the use of an alkaline emulsifier is less than ideal. Not only does our acid rinse remove prespray and dirt residues as well as buffer carpet and upholstery, it also imparts effective anti-resoiling properties, stabilizes the dye, and protects the actual fibre of the carpet. If you’ve used an alkaline cleanser to clean sensitive fibres, we also suggest using a good quality acid rinse, as this will keep the carpet fibres soft. We highly recommend this product for high traffic areas, such as in restaurants and entrances to buildings. Based in Ferntree Gully, our acid rinse to businesses across Melbourne, Canberra, Sydney, Brisbane, Darwin, Perth, Adelaide and Hobart – and across regional Australia.